It’s kind of a mixed bag. Many people think mobile apps are the same thing as mobile websites. Others believe that mobile websites are just frustratingly horrible things to even look at (and some are!) Still others don’t fully understand the power in owning mobile apps for your business. And of course there’s the fourth category of folks who think they are exactly the same thing. I’ll admit I’m a bit biased. I do sell mobile apps to small businesses. I also design and publish mobile apps for schools, churches, and nonprofits. You see, I believe every business and entity will want and need a mobile app sometime in the not too distant future. I also design websites and I can’t remember the last time I made a site for someone that was not mobile optimized to look great on any device. And many of my clients have both. Can that be a bad thing? We all know the statistics about how we use our phones. We practically have them with us 24 hours per day – 7 days per week. Take a look at the mobile apps you have on your mobile devices. Did you get them to make your life easier? To find things quickly? To be more efficient? And yes, to play a game – or two. The point is that mobile apps serve a very different purpose than a mobile website. Here’s an example. Let’s assume that Joe’s pizza place has both a mobile website and a mobile app. Both are free. Sue is coming home from work and decides she wants to order a pizza to take home for dinner. She goes to her web browser on her phone and pulls up Joe’s website to get the phone number or perhaps even order online. This is all very cool as long as Joe’s website is optimized for her phone. In our example it is, so let’s move on. Joe has his menu on the website and she decides what she wants and hits the one touch dialing to call the restaurant. She orders and it’s done. Cool, right? Absolutely. 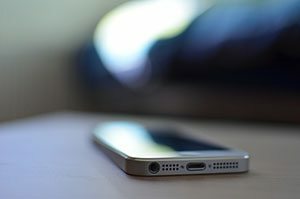 If Joe’s site is just as easy to read and get around in on your phone as it is when you are on your computer, that is mobile optimized. If you have to pinch your fingers and open up the screen so you can see the words on the page…that’s not good. It’s frustrating and it will likely cause Sue to go to another pizza place. Alright, now let’s say that Sue downloaded Joe’s Mobile App. Earlier that afternoon Joe sent out a push notification to all app owners with a Tuesday night special. The notification arrived on Sue’s phone complete with a picture of a great looking pizza and “Tuesday night only” free glass of wine while you wait for your pizza to be baked fresh (or a free dessert to go). Do you think Sue would want to keep that mobile app on her phone and get those specials from Joe? Mobile apps allow the business owner to COMMUNICATE directly with the customer at the time when they are looking for their product the most. Our mobile apps even allow Joe to make that message go out to Sue just as she reaches a certain geographical area. Can you see how that might benefit a whole host of businesses, schools, churches, and many others? Some people might say – “well I can do that with email. I can send coupons to people for a free glass of wine or whatever.” Yes, for sure you can. And you can even send them at 4:00 in the afternoon while Sue is trying to figure out what she is going to cook for dinner. But you can’t be sure that she will see that email in time to bring her to your store to buy. With a mobile app, that message shows up right on the phone just like a text message. And if you are always delivering a discount, tip or bit of inspiration or news…it will be a welcomed message. How about for a school? Is there a traffic jam up in the car circle that everyone needs to know about? Is there a special event at the school? And as much as I hate to bring it up, sometimes things happen that require immediate action from parents for the safety of their child. Most schools post to social media to alert parents. Again that is somewhat catch as catch can in terms of really reaching everyone. Yes, they can use text messaging but that can get lost in a sea of messages from the day. The point is that none of these things can be accomplished with a mobile website. Mobile websites are important and have their place but mobile apps will take your business to new heights. I’ve just scratched the surface here with what you can do. Let’s talk. Contact me for more information.